When I was planning my annual Colorado summer trip, I decided that I would like to include a couple of National Parks I had never visited. To that end, I made hotel reservations for Alamosa, near the Great Sand Dunes NP, and Far View Lodge, in Mesa Verde NP. 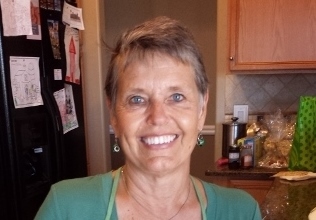 So, on a Wednesday morning, I left Kris and Bill’s Denver home for the Great Sand Dunes, and the adventure began. I chose not to take the fastest route from Denver to the Park; if the purpose of the trip was to see interesting geography, I-25 was not my first choice. So, my route wound me through the Rockies, including a drive over Poncha Pass. Beautiful! Once I got into the San Luis Valley, I saw some interesting, and unexpected, sights. At one point I saw a sign for Colorado Gator Park. I did not stop, as I’ve seen gators before, but I will admit that it was a surprise to learn that Colorado had such a park. It just seems random to me. Not as surprising, but very cool, was passing by three cowboys who were clearly driving a herd of cattle somewhere. 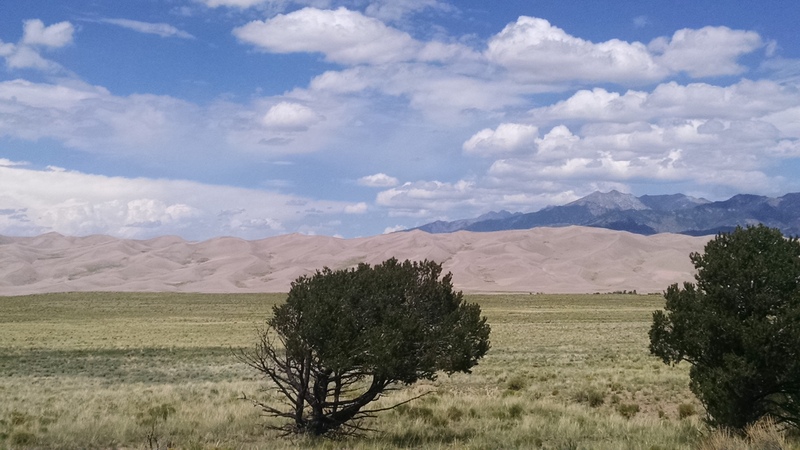 Before long, I found myself on the road to Great Sand Dunes NP and eventually had to stop and take a picture. 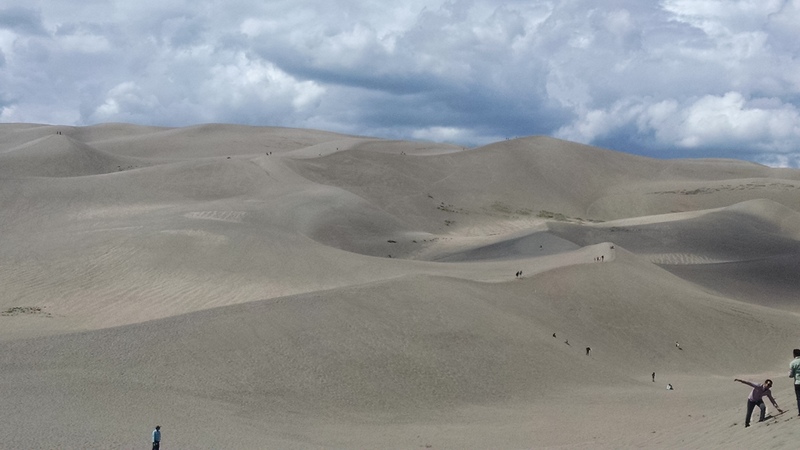 There’s something odd about seeing enormous sand dunes against the Rocky Mountains. I stopped in the Visitor Center to learn a little about how this phenomenon of nature happened. The combination of very dry climate, strong winds, and the mountains as a backstop created this amazing place. One can spend a day there, but I only had a few hours. So, I eschewed renting a sled to coast down the dunes, mostly because you can’t sled down until you climb up, and I literally wasn’t going there. But, I did walk up the nearest and smallest dune, just to get a feel for what it’s like to walk uphill on sand. It’s hard work! I people-watched for a bit, especially the kids, who were having all kinds of fun in the sand. Then, I emptied the sand from my shoes, got back into my car, and headed toward my hotel in Alamosa. By the time I checked in, it was time for dinner. Thanks to TripAdvisor, I discovered Calvillo’s Mexican Restaurant, featuring their famous buffet. Calvillo’s is low-key and very casual. The food was good, although I admit that I wasn’t always sure what I was eating. But, it was a bargain and a fun experience. I try always to eat in local restaurants when I’m traveling and Calvillo’s is an Alamosa institution. The next morning I drove to Mesa Verde NP, a drive of about four hours. Lots of road work slowed me down a bit, but I made it to the Park in the early afternoon and started at the Visitor Center there. I got some advice about what to see, and I purchased tickets to three ranger-guided tours on the following day. I wasn’t sure I’d take all three, which would have been a lot for just one day. But, at just $4 a pop, it seemed a good idea to keep all my options open. The drive into the Park was stunning, and I drove directly to one of the places I wanted to visit, Spruce Tree House and the museum. While you can’t walk around Spruce Tree House right now, it is close enough to see very well, especially with binoculars. What an amazing sight! Mesa Verde is a World Heritage Site, and no wonder. Spruce Tree House was constructed between A.D. 1211 and 1278 by the ancestors of the Puebloan peoples of the Southwest, and it gets visitors from around the world. I spent several hours there and in the museum, and then it was time to drive to my home for the next two nights, Far View Lodge, the only accommodations in the Park. After I checked in and unloaded a few things from my car, I went to the Far View Lounge for a drink on the patio. I enjoyed the view and eavesdropped on conversations about my fellow visitors’ experiences of the day. A few stories were a little scary…climbing steep ladders on the side of a cliff, narrow tunnels to get into one of the rooms, strenuous walks along narrow ledges. But, everyone seemed to be enjoying their adventures. After a nice dinner, I returned to my room and had an early night, because I had many plans for the next day. Unfortunately, none of those plans came to fruition, because I had serious car trouble, not a good thing anywhere, but especially not in such a remote place. I spent the next three days just getting home. 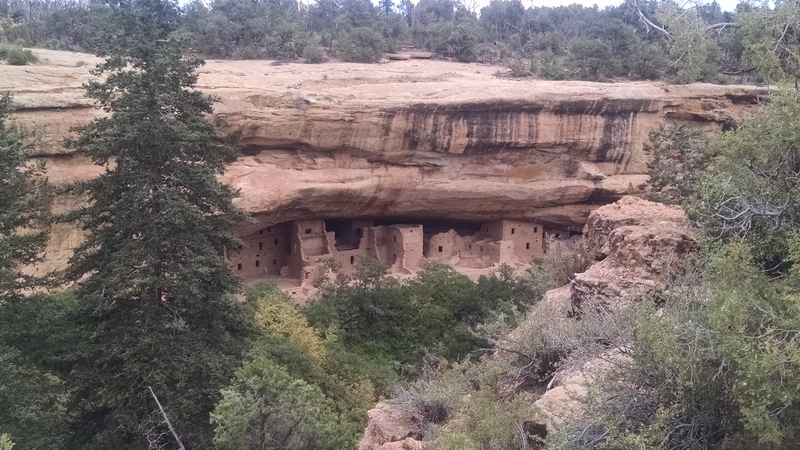 So, another visit to Mesa Verde is a must, and since it’s only a day’s drive from my home, it’s doable. Despite the way this side-trip ended, I’m happy I made the choice to spend some time in southwest Colorado. And, I can’t say enough about the beauty of our national parks. Aren’t we lucky to have these very special places protected? Happy 100th anniversary to our National Park Service! And, Mesa Verde, I will return.